Why you need a French property with a gym! Many people come to France to indulge themselves. They enjoy the beauty of the landscapes and the warmth of the sun. They take their fill of the arts, heritage and culture of France. They indulge too in the fabulous gastronomy, the food and wine that are such a part of life in France (Life in France). In fact, they overindulge on occasion. France is famously a land with over 350 different cheeses and around 280 different appellations (not to mention the Vin de Pays!) of wines. So, it's just too tempting! 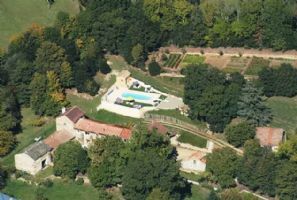 As many properties in France have swimming pools, the excess of food and wine can perhaps be worked off that way. However, most pools in domestic homes aren't really big enough for serious exercise (Best Property for Sale in France with Indoor Pools). But, imagine if you had a property with a gym? We've found some great properties with gyms attached. Some are apartments with shared gyms, others private residences with a gym all to themselves. Either way, it's the perfect way to indulge and be guilt free! And France has always been a good investment prospect for British and overseas property buyers. It's got a pretty safe property market, which isn't subject to the crazy rise and fall of prices that we have endured in Spain and the UK lately. And, as France is such a large and diverse country, property types are endlessly varied. The holiday rental market is strong, and there is money to be made. French property in 2018 has stabilised in price. 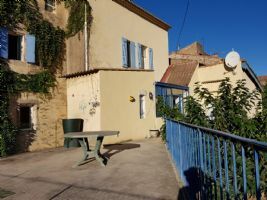 The high prices we saw a few years ago have been reduced to a more reasonable level, and French property now represents a good deal once more. Europe has been in recession, but there now seems to be a light at the end of the tunnel. Buying property in 2018, while prices are still relatively low, could net good returns in the future. And you know, as everybody does, that exercise is good for you. It has been scientifically proven to help you live longer, look better, think and work more effectively, and as exercise releases endorphins, it makes you feel happier too. But, sometimes getting out to use a gym maybe too time consuming, so you just don't go. Having a gym accessible in your own home may be all the incentive you need to change your life for the better. A good number of British buyers seeking property in France want holiday homes rather than a full-time home. For many, an apartment in a complex is an ideal solution, as there are no worries about leaving the place uncared for when you can't be there. Apartments are easy to care for, and are frequently found in very attractive locations, close to major tourist attractions. Apartments in complexes also may have access to shared leisure facilities such as pools and gyms. (Apartments and flats in France.) This also applies to villa complexes. Skiing fans should see what we have for them (Ski property)! Ski to your heart's content in resorts of the French Alps, then return to a little cool down exercise session in a private gym. Sounds good? It could be the life for you. But what is even better than a French property with access to a communal gym? Perhaps it might be a property with its very own private gym in the house? We've found several fabulous properties currently for sale in France with their own gyms. So, you can combine all that good living with a little exercise, all in complete privacy! So whether you're a fitness fanatic, just wanting to keep healthy or after a business opportunity, check out the properties we've listed here. From the ski resorts to the Med, there are properties with gyms waiting for you to find them. URGENT ! Spacious Family Home.. This townhouse is in immaculate condition. It offers a lovely lounge with fireplace, a fully equipped kitchen, 2 bedrooms and a bathroom downstairs. Attached to the kitchen is a large veranda, currently used as a dining room. Upstairs is a big open space in use as a bedroom, and a gym. There is also a bathroom with bath. Ref 3576: In 10mn of Auxi and 30mn of Abbeville, renovated single-storey farmhouse, about 150m ² habitable, on nice ground of 1300m ² about, with courtyard (access camper), raised and flowered garden, and dependency. It comprises: entrance hall, large fitted kitchen, utility room, living room with exposed beams, half-timbering and fireplace, 4 bedrooms with parquet floor, gym, shower room, wc, veranda. Outside: beautiful enclosed courtyard, courtyard, workshop. Attractive character house with 4 bedrooms, barns, gite, courtyard and garden! 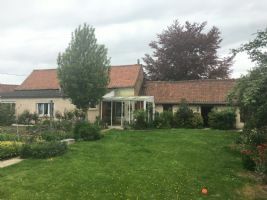 Nice property offering an interesting potential, located in the heart of the village, with a character property of 130 m² of living space including 4 bedrooms and an attic that could be converted, an independent gite of 50 m², a stone barn of 80 m², another semi converted barn of 25 m² (gym) with an upper levels and 2 large workshops. The whole leading onto a large courtyard of about 260 m² and a garden of 220 m². A must see ! House + 3 gites, swimming pool on a 3500m2 site. Beautiful property, ideal for seasonal rentals. The large main house could be divided into a residence and a separate gite. 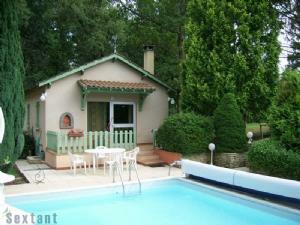 3 small gites near the swimming pool, plus sauna and gym. The garden is quite large and very pleasant, as well as being very private. 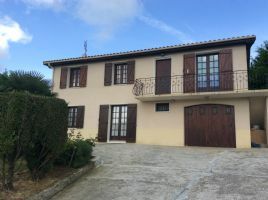 The whole property is in excellent condition structurally, and there is no work needed except to decorate the property to your own personal taste. This is an exceptional opportunity at this price point, only available from Sextant. 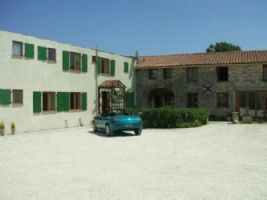 House with 5 gites, garden and heated pool, nr Matha. Set in over an acre. Complex with 5 gites. Owners house has 3 bedrooms. 17 bedrooms in total. All furniture included in gites. 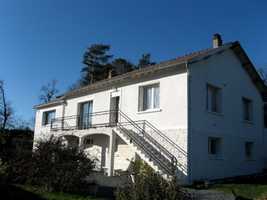 Each gite has own private decked area with patio furniture and pool access. There is also mini golf, play area, games room and gym. 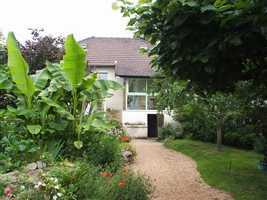 Set in lovely countryside 15 minutes to Matha and one hour to the coast. Successful business for 12 years. Dordogne Périgord Noir... in the Bastide country : Magnificent estate, entirely restored and set in the middle of 7 hectares of grounds with its own natural spring comprising: a main house with around 260 m2 of living space; a four-star gîte with around 120 m2 of living space; 3 charming B&B guest rooms with private walled garden; an enclosed pool area with beautiful infinity pool, a covered relaxation area with jacuzzi, a French bowling pitch... a fitness centre and massage parlour. 15 Minutes from carcassonne. Completely renovated property, quality services, central heating, quiet area . - Main house: living room 45 m2, exposed stone, 80 m?, dining Bay window on Park, high 31 m? kitchen range, rear attic kitchen 15 m?, Office, 3 rooms, floor tiles, lingerie. 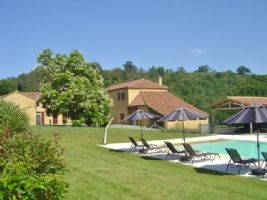 - 4 gites 50 m2, 65 m2, 80 m2 120m2with eated pool leased, 4 bed rooms for bed and breakfast. Gymnasium with sauna and Jacuzy. Lots of character and beautiful, ancient elements of qualities, fireplaces, floors. 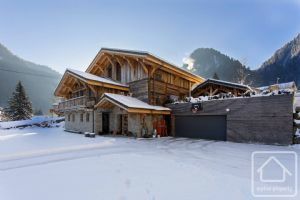 With Chalet le Terraillet, you are sure to be the envy of all your friends and family.